Welcome to 2016! Or, should I say, welcome to the Year of the Eldrazi! Cthulhu’s brood has been assimilating the Modern masses for about a month now, starting with EternallyRamza’s inconspicuous showing in an MTGO League on November 30 and culminating in Matthew Dilks’ 10th place run at the recent StarCityGames Open in Cincinnati. Every online Modern community has gone totally insane over beating the deck, playing the deck, watching the deck, and (naturally) banning the deck, and Eldrazi staple prices have followed this hype train into the stratosphere. I decided to do an RG Titan Scapeshift “Deck of the Week” piece back inn a week where I almost did one on Bx Eldrazi, so I’m remedying that December oversight by kicking off 2016 with this much-deserved spotlight. Thousands of words were written about Bx Eldrazi even before Dilks took the deck to a respectable tournament finish. This includes two SCG Select pieces, one by Grixis specialist Michael Majors and another by Bloom extraordinaire Chris VanMeter, video tech by Ari Lax, a foray into BR colors by Frank Lepore, and one of the fastest growing deck threads in MTGSalvation history. You’ll want to check out all those sources if you’re serious about this deck (and tap your savings account to afford all those overhyped and overpriced staples like Eye of Ugins!). Today, I have the advantage of writing about Bx Eldrazi after Dilks Top 16 performance, which gives us a proven starting point for a deck with a half dozen configurations. Taken as a whole, the Bx Eldrazi strategy spans every possible two and three-colored combination. I mean that literally: I’ve seen someone on some forum or another propose all of those color pairings when brainstorming new Eldrazi setups. We also saw this in the closing month of 2015, where Eldrazi occupied around 3.5%-4% of the MTGO metagame but was split almost evenly between red, white, and mono-black variants (with some oddballs in between). The jury is still out on which combination works best, but Matthew Dilks’ 10th place list at the Cincinnati Open makes a convincing case for black-white. Cincinnati also showcased a Mono-Black Eldrazi list as piloted by friends Jacob Baugh and Jack Fogle. Baugh and Fogle shared Dilks’ gameplan and core, but their X-3 performance doesn’t compare favorably to Dilks’ 10th place finish. Three datapoints are hardly enough to close the case on choosing a second Eldrazi color, but I’m a results-oriented guy and favor the BW approach based on Dilks’ performance in a diverse metagame. BW Eldrazi is fundamentally a midrange strategy, albeit with ramp enhancements. This puts it more in the BGx Midrange family than in the RG Tron and Amulet Bloom class, although it certainly borrows elements from the latter. Dilks’ list runs only five maindeck discard spells, but online builds have run as many as 6-7. Add in the 5+ maindecked removal options, a playset of Tron-esque Relic of Progenitus, plus the Abzan staple of Lingering Souls and a sideboard that looks lifted from Willy Edel, and you share almost half of your spells with those traditional BGx relatives. Wasteland Strangler is a true midrange monster, deploying a hard-hitting body as early as turn two and nuking an enemy creature along the way. Like Jund and Abzan, BW Eldrazi disrupts early and clears a path for threats. But unlike the midrange mainstays, the Eldrazi threats get ramped out ahead of the curve off a hyperefficient manabase and some pushed, mid-mana creatures. BGx mages get Tarmogoyf, Tasigur, the Golden Fang, and Siege Rhino. The Eldrazi hordes get, believe it or not, upgraded versions of these vanilla threats in Blight Herder and Oblivion Sower. Using combinations of Eldrazi Temple, Urborg, Tomb of Yawgmoth, and Eye of Ugin, BW Eldrazi can easily cast these seemingly “expensive” critters as early as turn three. Relic, Path, and opposing delve effects ensure you have fuel for your Eldrazi processors. In effect, this emulates Tron’s Wurmcoil Engine or Karn Liberated ramp plan, but with a midrange angle instead of straight ramp. Further differentiating the newcomer from Tron, BW Eldrazi’s lands are also much more resilient to targeted destruction. Take the omnipresent Fulminator Mage/Kolaghan’s Command line. Urzatron depends on a specific configuration of lands, which Fulminator is happy to tear apart. By contrast, the Eldrazitron works in a half dozen permutations, and because your deck isn’t too dependent on its assembly to begin with, sniping individual pieces rarely stops you for long. This gives you an extra edge in Games 2-3, where most players are prepared for Tron ramping but not for the hybrid midrange-ramp approach in Eldrazi. This manabase enables a mid to late-game transition that further distinguishes BW Eldrazi from other midrange decks. Eye’s tutoring, coupled with Sower’s obscene mana-ramp, gives you a degree of inevitability that Tarmogoyf and his crew can’t match. Don’t have an Eye? Don’t worry! Maps will get you fixed up, as will cantripping your excess Relics. Once you get the Eye online, Ulamog, the Ceaseless Hunger sets a new inevitability standard, laughing at the the plodding manland Plan Bs in Jund and Abzan. I’ve seen Ulamog rumble into play as early as turn five off the turn three Sower and turn four Eye. Even a relatively late turn nine Ulamog is a degree of closure the fairer midrange decks just can’t replicate. Speaking to the BW pairing itself, white pulls its weight in two areas. First, it fixes otherwise bad matchups. Affinity is a Game 1 mess and Stony Silence, coupled with pressure, is a time-honored solution to that problem. Timely Reinforcements also goes a long way to improving the Burn matchup. Other colors don’t give options that improve both of these problematic contests, let alone the best card in Modern (Silence) for resolving a matchup you can’t afford to punt in big tournaments. White’s second function is to bolster the deck’s midrange option with Souls and Path to Exile. Mono-black and black-red Eldrazi don’t lack for removal alternatives to Path, but their removal doesn’t fuel processors and doesn’t hit big dudes that can compete on the ground with our army. Those other colors also can’t match Souls for its sheer grindiness and as an added anti-aggro bullet. Remember, this is a midrange deck that wants to prey on other midrange decks. Just like you bring Abzan (with its white splash) and not Jund (with red) to trump opposing midrangers, so too do you make a similar call with Eldrazi. If you aren’t hammering Jund, Abzan, and Grixis decks into the floor with Eldrazi, you’re doing something wrong. In my testing and in watching the deck in action, these matchups felt completely unfair, as if Eldrazi were on an entirely different play-axis than the archetypal fair decks of Modern. URx Twin is also surprisingly easily, especially if you are accustomed to the Twin vs. Tron/Amulet Bloom matchup which heavily favors Deceiver Exarch‘s. There are a few factors at play in these lopsided contests, and I want to highlight some important themes here so you can better understand where this deck is picking up its wins. Tarmogoyf comes down on turn two as a 4/5. Blight Herder also comes down on turn three as a 4/5, but with a trio of 1/1 chumpblockers that double as one-shot mana dorks. Pia and Kiran Nalaar drop on turn four in Grixis, transitioning into the midgame with a small airforce and extra burn. Eldrazi slams Oblivion Sower instead, making the jump to lategame hyperspeed and setting Eldrazi up for a turn five Ulamog. These are just two examples where BW Eldrazi goes too big, too fast. Fairer Modern decks have historically struggled when decks try to go over the top, and BW Eldrazi is the next chapter in that story. Neither Decay nor Inquisition of Kozilek hit any of your big beatsticks. Liliana gets shut down by a lone Herder, and you aren’t even running enough real artifacts for Kolaghan’s Command to open a two-for-one. In the URx matchups, countermagic is useless at stopping the on-cast Eldrazi abilities, which lets you slug through even the thickest screen of Cryptic Commands and Snapcaster Mages. As for the omnipresent Lightning Bolt, unless the opponent wants to blow up Spirits or break even on your Strangler two-for-one, the Bolt becomes Lava Spike throughout the match. Most of Modern’s fair decks are heavily dependent on graveyards. Abzan uses it for Souls. Jund and Grixis uses it for Command. Both BGx decks use it for Tarmogoyf and Scavenging Ooze, and all of the above need full graveyards to maximize Tasigur’s delve and his recursion. It’s even worse for Grixis decks, which need the yard for Snapcaster shenanigans, Jace, Vryn’s Prodigy, and their own Commands. Remove graveyards from the picture and you demote Oozes to Grizzly Bears and Snapcaster Mages to Coral Merfolk. We need to understand the Eldrazi countdown in two different ways. First, Eldrazi gets the clock ticking in a hurry with Oblivion Sower ramp and the manabase’s natural output. While some decks think they are in the early to mid-game shift, Eldrazi is already starting its late-game buildup. Second, once that late-game arrives, it’s only a matter of time before Eldrazi lands something unanswerable. Ulamog is an unfair fellow. Command into a recurred Snapcaster into another Command feels like Portal Magic by comparison. Strong matchups aside, BW Eldrazi has a few weaknesses you’ll need to be aware of if you take this deck into the field. Affinity is downright nasty in Game 1, only improving slightly in Game 2 by virtue of those invaluable Stony Silences. Burn, Merfolk, Infect, Tron, and Amulet Bloom pose similar issues by overwhelming or ignoring spot removal, laughing at one-for-one discard, and waving off your big turns 3-5 plays as they try to close out the game in a hurry. We’re playing Abzan elements, so we shouldn’t be surprised that Path isn’t what you want to be doing against turn one Glistener Elf, Noble Hierarch, or Goblin Guide. We’re also not even playing all the Abzan elements, so we don’t have the anti-Burn stabilizing power we see in Rhino and Ooze. Keep these strengths and weaknesses in mind when preparing for other matchups. For example, our midrange elements are just as bad against RG Tron as they are when wielded by Abzan and Jund mages. But our ramp plan gives us a racing option BGx can’t leverage, so we can slot in more Ghost Quarters to round out that matchup and bring us closer to even. Testing will help you figure out where these trims and decisions need to happen. I fully expect to see BW Eldrazi take the Tier 2 stage over the next few months. This deck has all the trappings of a Modern powerhouse and although I don’t think it’s as crazy as many online believe, I do believe its inherent strengths ensure it is well-positioned in this current metagame. What experiences do you have with the deck? Where do you place it in the metagame and where do you see it going from here? I’m pumped to chat more about our new Eldrazi overlords in the comments and eager to see where the Great Old Ones go next. I’ll be back a few more times this week as we iron out our content schedule and get some new features rolled out. We’ll likely be running “Deck of the Week” on Tuesdays in the future, with a metagame-themed piece on Wednesday and Trevor and Jordan returning to their Thursday/Friday slots. Stay tuned for more as we dig into 2016 and another awesome year of Modern! Correction (1/4): An earlier version of this article credited a December 10th League appearance as Bx Eldrazi’s first showing. Its first appearance was actually on November 30. This has been updated in the opening paragraph. I’m completely disgusted by this deck and what it represents, Wizards should be ashamed of printing these “small eldrazis”. Its just pandering and bad design. We dont need more generic “discard-stuff-puts-bombs-that-play-by-themselves-into-play” midrange archetypes. And this one comes with creatures that have such uninspired design it hurts my eyes. It’s definitely a new way to approach the creature type and it’s going to have a big impact on Modern. Maybe we’ll see more creative designs and different, less midrangey Modern additions in later sets! These creatures were considered standard/limited garbage before someone figured out the correct configuration. I’m shocked at how whiny this community is sometimes. Nothing about these designs is uninspired – they’re incredibly flavorful and utilize a previously under utilized zone to powerful effect. Think this way: the design for these creatures make so that counterspell are stupidly bad against them, and they negate graveyard-powered strategies that could put bigger creatures than they are into battlefield. Besides that, they are colorless, which mean that the shrugg small creatures with protection off, they ignore a good part of removals (both because they generate effects even if removed, and because they actually dodge some removals like ugin). AND they are WAY TOO BIG for their mana curve. These creatures ignore EVERYTHING creatures have as weaknesses since the dawn of magic. Everything. Ignoring one or two aspects of it is ok it is what makes a card cool (for example: Goyf is strong for its mana cost, but is weak to removal. Titan is strong and can come into play fast in the nature of the decks he plays, bit is weak to counterspells. Geist has a good clock and protection but is fairly weak by itself to its curve and is lackluster against other creatures. The first Eldrazis where super-powerful but came with insane mana cost to put them in check in niche decks). These “small eldrazis” on the other hand just ignore it all. It is BAD DESIGN. It is design that wasn’t well thought out and wasn’t tested properly. Creating ridiculous cards that degenerate basic game interactions is easy. I like this deck a lot cause, well, they are Eldrazi, that neat-looking monsters I once never hoped to play in modern. But now it seems dream comes true or something. It’s double exciting seeing the deck evolve through time with Oath bringing new elements as well and I sure even now there’s something people still haven’t discovered. Will be watching this archetype’s developments for sure! I always love when Modern gets new strategies, and Bx Eldrazi looks like it’s here to stay. I expect many people will pick up this deck for the upcoming Modern events, and I too am excited to see where it goes. Blue has never been worse in Modern than it is right now, with this deck now floating around. Stereotypical Blue perhaps, but Merfolk and it stellar matchup against this sort of deck beg to differ. Blue-based control and midrange are not in a good spot against these decks, although Merfolk (say hi, Roland and David!) and URx Twin will be just fine. That said, the blue-based control problem is bigger than just this one deck, so we’ll need a lot more to tackle it. It’s true, Merfolk has an excellent matchup against all the versions of Eldrazi ramp that I’ve seen. They don’t have enough removal to really cripple you and Spreading Seas slows them down enough for your army to race them. Tron used to be the same way but Ugin has really improved their game against Merfolk, which constantly makes me wonder if Eldrazi is actually a worse version of Tron. I’ve been wondering that as well, but it seems that its increased reliance on spot removal and ability to spit out T3-4 threats that need to be answered make it play like a hybrid between Jund and Tron, with the ability to go over the top on BGx and disrupt Tron’s manabase. It’s weaker against aggro, but I’m not sure it’s weaker overall. Nice article, Sheridan. I think you make a fairly compelling case as to why BW is the combination of choice, which I can agree with given a bit of testing with the mono-B version and its frankly lackluster (non-Strangler) removal options. However, I feel that the deck presented is a bit low on the exile clauses the Processors thrive on. I can understand not wanting to stoop to using strictly worse versions of Relic of Progenitus like Scrabbling Claws, but Nihil Spellbomb and Rest in Peace are quality ways to keep the ‘yard clean (and the latter mostly ends the Grixis matchup on the spot when it resolves). I’m also surprised to see only 1 Spellskite, given that at worst it’s an 0/4 blocker that helps you fend off the likes of Burn, Merfolk, and Small Zoo (who all match up well against this deck). Overall, though, it’s a neat deck to brew with, and I look forward to seeing the archetype’s evolution. I also think the deck could benefit from +1 Spellbomb (although it does have the Bog as an added exiler). That would give 10 exile outlets in the maindeck, which gives you a pretty high chance of hitting one in the opening turns. Eldrazi developers are probably still figuring out the best way to configure this deck, so we’ll need to wait and see where it goes. I agree we’ll see better lists as time goes on. Thank you for posting modern nexus. I really apreciate your take on this funn deck. I just love modern at the moment, such diversaty! Big props to Matthew Dilks for his finish on the deck this weekend, and you and I can both agree that Modern’s diversity rocks. I don’t think Kozilek will move the needle that much for either deck, honestly. It doesn’t fix the fundamental issue of “what happens if you don’t get to the 10+ mana you need to pump out your I-win buttons”. I don’t think any deck that capitulates to aggro as thoroughly as this one currently does is in danger of becoming too good for the meta, though, so it’s a moot point. It’s weaker than Tron in some areas, and stronger in others. I do think Tron will gradually transition to more Ulamogs as an attainable finisher, but the Tron core will remain the same. OStone, Wurmcoil, and Karn have their own edges over the Eldrazis. Tron’s better aggro game is reason enough! As for banning talk, it’s way, way, WAY too early to even consider a discussion about that. Let alone actually have a discussion! I’m pushing back on this because Modern players tend to jump to bannings as a first reaction to any new deck, and we need to work against this as a community and look for metagame and sideboard shifts instead. Is this deck the final body blow to push jund to tier 2? Zero decks in top 32 yesterday, in addition to falling off the radar online. Jund is in a lot of metagame trouble right now. Abzan has emerged as a clear BGx frontrunner online, and the Cincinnati picture is just as troublesome. When the numbers get crunched, I fully expect Jund to fall to Tier 2 in January, and maybe even drop out after the December stats are processed. As a Grixis Control player, this deck is certainly terrifying to behold. Maindeck graveyard hate and creatures that have effects even if counterspelled are going to give me nightmares. Good thing I bought twin pieces so I can go Grixis twin at a moment’s notice! I wonder where this Eldrazi deck will end up in the long run…. It’s definitely a nightmare for Grixis players. I see Grixis strategies taking a sizable hit with the rise of Bx Eldrazi options, although this should be stabilized in the long run as more players figure out how to beat this deck and metagame against it. The short-term prospects, however, are not good for Grixis. Better bust out those Twins! I wasn’t saying Twin is a good matchup. I was telling Tim Estes that he should convert from Grixis Control to Grixis Twin, because he said he could swtich at a moment’s notice. Everything mid range control will be destroyed and no sideboard cards will do any good. Fair decks are going down and a dark Era will arise better sell jund or play legacy jund. I’ve played against a ton of this archetype on Magic Online lately, and I must say my personal experience is that it’s completely miserable to play any fair/midrange deck against the Eldrazi. I worry that yet another deck that beats the crap out of fair strategies is at some point not going to push people onto another strategy but rather out of the format. After battling a number of these decks in a row, I just stopped playing Magic and did something else. That doesn’t hurt the format on a micro level, but if that’s a continuous experience, it’s going to hurt the format. On a more practical level, I’m curious what effect this deck will have on the diversity of the format. Will there be a measurable impact on 100% graveyard dependent decks such as Living End, Loam decks, or other reanimation strategies? How often can they face Eldrazi before it becomes not worth picking up those decks anymore? 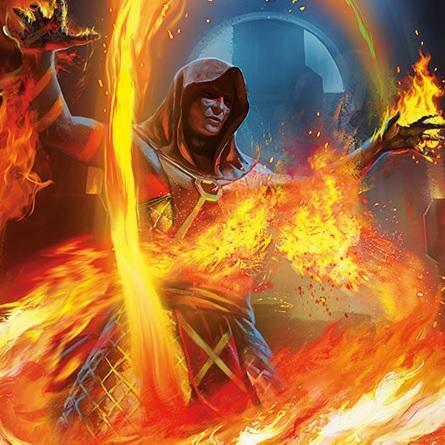 Beyond that, will there be an impact on counterspell decks and fair midrange? Or are those bad matchups already factored into the play percentage of those decks? If Eldrazi pushes out graveyard strategies and pushes back on fair decks, does that push the format toward even more uninteractive combo, fast aggro, and mana abusers? I think the reason so many people are freaking out about this deck is that it represents much more than just one deck. It represents a question about the heart of Modern as a format: is there room for the decks outside aggro, combo, and big mana? Right now, yes, obviously, but what about 3 years from now? 5 years? I think that is why this deck touches a nerve and prompts crazy reactions like banning a deck that’s existed for one month. It’s easy to laugh at people who want the deck banned, because of course that’s unreasonable at this point, but it’s important to consider why that reaction is apparently happening and discuss whether the base concern is valid, even if the hyperbolic reaction is not. One important thing to remember is that Bx Eldrazi really struggles against aggro decks. This sets it up as part of a natural metagame cycle, where Bx Eldrazi fights fair decks, aggro decks beat up the fair-deck killers, and then police decks return to rein in the aggressive options. It’s possible we don’t see this, but it’s WAY too early to tell and WAY too early to think about bans of all things. As for the broader issues Bx Eldrazi brings to Modern, this has more to do with Modern’s lack of generic answers than anything else. Many fair, police decks don’t have the interaction to handle decks like Bx Eldrazi. By contrast, Legacy has stuff like Wasteland to smash the nonbasic land nonsense we see in Modern. I expect we’ll see better answers as Modern continues to evolve, which will naturally make decks like this weaker in the long run. That said, I don’t think most people are freaking out for those nuanced reasons. I think they are freaking out because that’s what Modern players do with new decks, especially ones that beat their pet strategies. It’s a really unfortunate and offputting reaction, and it’s one we as a community need to resist. I completely agree with Jake’s second paragraph. It is the exact reason why I think this deck is a poison to Modern. We barely got another interactive deck in the form of a new viable archetype in Grixis, and this deck come to put it all to the ground. Both decks I play consistently do not use counterspells or rely very little in the graveyard (lantern and amulet bloom), but that doesnt mean I can’t be sad for what is happening here. This deck makes every deck that relies on graveyard (that are already sketchy) a tad bit worse and makes counterspells (that are already bad in modern) even WORSE. By itself wouldnt ruin both of these aspects of the game, but here is the deal: it is NOT alone in this. But IT IS what pushes it way to far for both in a SINGLE deck, IMO. FWIW Living End is actually mad decent against these decks. You 100% need a Relic T1/2 to not fold to Living End, and potentially multiple if the Living End player has the tools to refuel or cycle some dudes post-pop. You also need a quick clock, as the Living End player will just start casting dudes (Street Wraith is really good here) to beat down. Fortunately they’re playing 4 Fulminator Mage and some number of Beast Within to keep you off of 5 mana. First, thanks for highlighting this deck. I’ve actually been refreshing the site pretty regularly the last few days expecting you guys to have a take on it, and as always I enjoyed your analysis. I think decks like this are great for the format for a couple of reasons, the first of which is simple diversity. I love it when a new deck comes along seemingly out of nowhere and actually has competitive applications. Also, unlike say a Grishoalbrand or Amulet bloom, which were shocking because of how uninteractive they are, this deck very much allows your opponent to continue to play a game of magic. I’m very happy you labeled this deck as a midrange deck, which at its heart it is. It has early disruption, solid removal and value creatures–all the hallmarks of Midrange strategies. There are a variety of ways to beat it, and as such is essentially “fair.” While it is proliferating like crazy online, I think eventually it will become another of the midgrange decks in the format that forces other decks to react and evolve due to to its development–but I don;t think it will ever be oppressive. More importantly, we don’t know all the tools we’re getting for the deck in OGW yet, or all the tools we might get to FIGHT it. In a set all about the battle between planeswalkers and Eldrazi, there are likely to be yet spoiled cards that can hate out the deck’s best creature cards in Herder and Sower. Ultimately, like you said, it’s WAY to soon to know where this deck will go or what it will do to the metagame. But, I think it is ultimately good for keeping Modern fresh. Glad you enjoyed the piece. I am also excited whenever new strategies arise, and I think this deck is a lot more exciting when we realize it’s midrange and not just another ramp strategy. I also don’t feel the deck is problematic and I’m pumped to see where it goes. There are lots of ways to beat it and we’ll start seeing that more and more as the deck and format evolve. Yeah its mid-range putting 5/8 or 4/5 creature in turn 3 and 4 consistently. I played against BW Eldrazi in a GPT this weekend (lost in top8). I’ve been on Knightfall since before it was a deck, and it seemed like a complete dog to Eldrazi on paper. The games didn’t play out that way: game 1 the relic just never showed up, and the combo was good on turn 3. Game 2 meddling mage on Wasteland Strangler put it away as the aggro plan was too much. I had considered Bx Eldrazi a sizable favourite on paper, but the games played out very differently. The deck was fairly popular with about 4 players out of 35 on it, but only the player I beat managed to top8. I feel like that was a fluke, but maybe my assessment of the deck was a bit overblown as well. Time will tell how this matchup really goes, but I feel like all the maindeck graveyard hate hits the meta from an advantaged position. Personally, I look forward to the challenge of responding to this new threat. Thanks for sharing! This report underscores why testing is CRITICAL when we make deck evaluations. It’s easy to sit in the whiteroom and talk about how good or bad a deck/matchup is. But when we get to the tournament floor like Steve did, we often find a different reality. Maybe it was a fluke and maybe not, but either way, the experience shows how important variance and real games are in Modern. So Midrange players want Eldrazi banned. Tron players want Infect banned. BGx players want something from Tron banned. Aggro players want Tarmogoyf banned. Greedy mana base players want Blood Moon banned. Control players want Aether Vial and Cavern of Souls banned. New players want Splinter Twin banned. People who enjoy taking more than 2 turns want Bloom banned. Sounds like all’s well in Modern land if everyone wants those cards banned! Will you make an article on how to fight against the deck? It seems like the answer is “Put down BGx and play Burn”. Absolutely! In fact, this is already an article on my radar for either next week or the week of the banning announcement. I really loved the article. It looks like a really fun deck to play. Thank you so much for bringing the deck to my attention. Is it just me, or is this deck actually a terrible pile of garbage that I hope everyone sleeves up so I can crush them and laugh? Having tested the deck myself, seen the test results of others, and witnessed the SCG results at Cincinnati (plus another IQ T8 that same weekend), I can assure you it’s real. It is not yet some Tier 1 monstrosity that some make it out to be, but it is a very good deck with all the markings of a Tier 2 contender. Maybe it even gets better! Everyone at my LGS is loosing their minds over this deck and how “OP” it is. I haven’t played against it yet but it looks sweet and I can see how it just crushes grixis, reanimator, storm, living end and anything that uses the graveyard. One part of me loves that a sweet modern deck emerged from 3x core cards from BFZ after everyone has been saying how terrible BFZ has been and how underpowered it is. I love how diverse modern is and to see sweet new decks pop up makes me giddy. Other part of me is a little worried about the potential this deck might have and how oppressive it might be in the meta making graveyard interactive decks unplayable. We will see if these processors are too “format warping”. Time will tell.